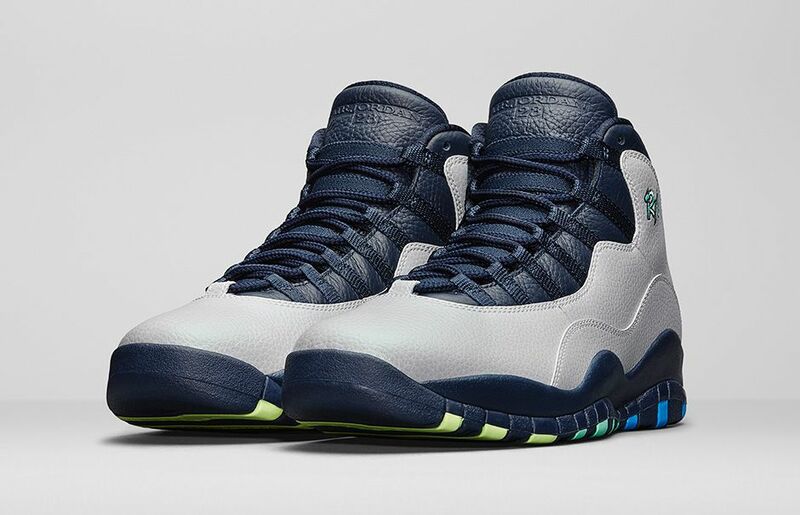 The latest sneaker coming from the Jordan Brand is the Air Jordan 10 ‘Rio. 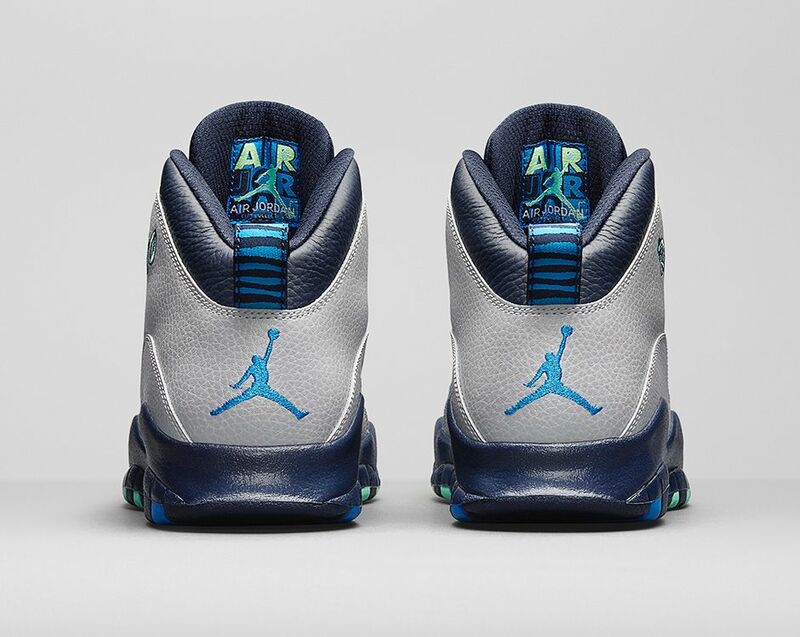 The sneaker pays homage to Rio de Janeiro (a city in Brazil) where the 2016 Olympics will be held. The Air Jordan 10 ‘Rio’ comes in a wolf grey, photo blue, obsidian, and green glow colour scheme. The sneaker features grey and obsidian tumbled leather throughout the upper with the RIO logo embroidered on the collar. 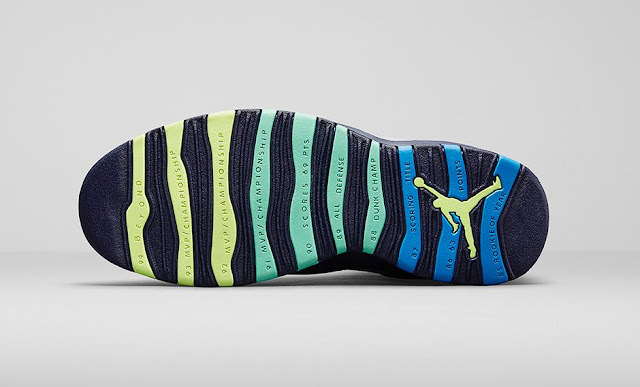 The sneaker is also dressed in a mixture of yellow, green and blue tones to evoke Brazil’s national flag. 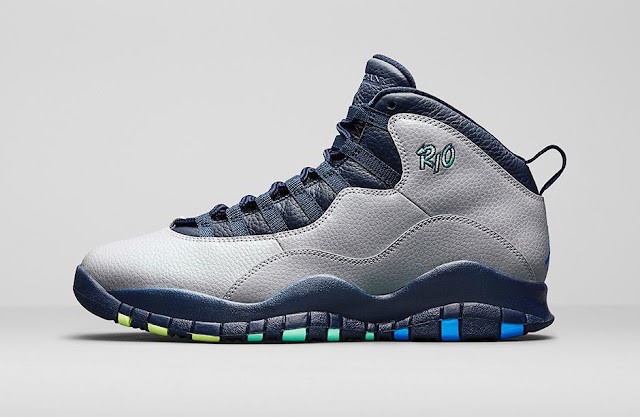 The Air Jordan 10 ‘Rio’ will drop this weekend at selected retailers.